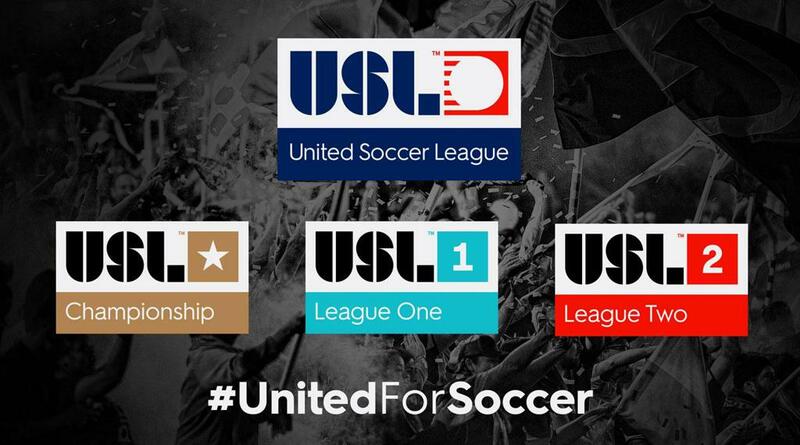 The United Soccer League entered a new era on Tuesday, September 25 with the unveiling of its new brand identity, creating for the first time a clear three-tiered structure across its competitive leagues – as well as a new corporate identity for the organization as a whole. But while the unveiling produced headlines from around the world, the work behind the scenes to bring 2019 the USL Championship, USL League One and USL League Two under a unified competitive pyramid had been more than a year in the making. The wheels were first set in motion when the Championship was awarded Division II sanctioning by the U.S. Soccer Federation in January 2017, a testament to the work that had been undertaken by league officials led by CEO Alec Papadakis and President Jake Edwards to build a sustainable model for professional soccer. Three months later, plans were unveiled for a new Division III professional league to be introduced for the 2019 season, with longtime league executive Steven Short handed the task of building a league from the ground up over the next 18 months. At the same time, thoughts also turned to what the identity of the USL and its growing properties should be as it prepared to enter the next decade. Numerous concepts in terms of naming conventions were floated as possibilities, but the organization realized that the sophistication of the North American soccer fan offered it an opportunity to incorporate something familiar, but still new to these shores. Thus, the USL Championship and USL League One were selected for the organization’s professional divisions, with longtime USL property the Premier Development League completing the three-tier structure as it became USL League Two. With the new league’s names established, the USL then looked to build off the successful branding the organization had established prior to the 2015 season as it teamed up with Athletics NYC – a Brooklyn-based creative studio – to bring its vision for a fully-integrated league structure to life. The design process covered not only the front-facing look for each of the three divisions, but also their incorporation into all the areas that would be necessary over the course of a season, including broadcast and social media elements. When the league’s new look was unveiled in late September, it ushered in a new era for the organization, and revealed the possibilities for what the future could hold for the USL in the bigger picture. Discussion of a new cup competition that would include all Championship and League One clubs to launch in 2020 has already begun, with long-term potential for promotion and relegation between the two professional divisions. With League One about to enter its first season, implementation of competitive movement between the two leagues is certainly quite a few years away as the new division establishes itself as a strong competitive level on the North American landscape. The fact that the possibility even exists, however, is an indicator of how the consideration and care the USL has put into its growth over the past decade and how bright the future under its new banners appears to be as it prepares to begin the second decade of its modern era.